This week I need to be really careful to make sure I stick to my meal plan! I put on three and a half pounds while I was in Majorca last week. Which doesn't sound too bad other than the fact that I was trying to be good at least some of the time, but also I'm going on holiday again in two weeks, and this holiday will be twice as long, and twice as unhealthy - I'll be eating in American diners on a roadtrip and at the end totally overindulging in Las Vegas! breakfast: wholemeal toast (dry as I have an annual medical at 9am and I'm only allowed dry bread and water beforehand!). dinner Lasagne - portion I made previously that I have in the freezer that I think has about 8 syns, with veg. Did I stick to it? Breakfast: yes as I had no choice before the Bupa checkup! Lunch: roast chicken with leftover roast potatoes (so much better than couscous and still free).Went to Tesco at lunch and bought lots of healthy food... and some caramel Wagon Wheels. Then ate two of them. Oops! I've just looked them up and found they are 8 syns each which is probably what I expected... but as I had two, that's 16 syns in one go. For some reason I was hungry all afternoon so also had two marshmallow wafers, but luckily they are only 1.5 syns each. For dinner I had a portion of homemade lasagne I had in the freezer that I estimate at 8 syns with veg, then a vodka and diet coke (well, first day back at work after a holiday is always hard!) which is 4 syns. Total syns for the day: 31. And I started out so well! dinner Will invite my boyfriend over to dinner. I'm finding it increasingly hard to find meals he will like that are healthy, and given I really need to lose some weight this week I'm going to have to do something I didn't want to do, until we move in together at least - cook different meals for each of us. I will do him sausages and mash as it's easy and I will make myself the fast fish casserole from Slimming World extra easy All In One p142. Did I stick to it? Breakfast: cereal (option b). Sneaky wagon wheel at work in the morning - 8 syns. Must not eat any more this week! Lunch: pasta with smoked salmon, broccoli, and sauce made from quark and fat-free natural yogurt - so all free, hooray! Afternoon: crabsticks (free), 2 marshmallow wafers (3 syns)... then I cracked and had two wagon wheels. I think I'm addicted to them! And at 16 syns I doubt any more I will lose the weight that I needed to this week.... Did the fish casserole with potatoes for my dinner which was nice though I put a bit too much salt in. Totally free in syn terms though my boyfriend was snaffling some biscuits afterwards and I did have two, which is probably about 5 syns. And I had a vodka and diet coke -4 syns. Total syns for the day: 36. Must stop eating wagon wheels! Total syns for the dayabout 62.5. A really terrible day, don't understand why I couldn't stop eating and I'm definitely not going to lose any weight this week. dinner Think I will need to head over to a youth club this evening whose newsletter I am putting together, which means dinner on the go - I will take some pasta with smoked salmon and broccoli and hope I can find somewhere to eat it. Did I stick to it? Breakfast: wholemeal toast with smear of peanut butter, 5 syns but is a good slow-release energy. Midmorning one of BakingAddict's amazing cupcakes... total guess but I'm putting down 10 syns. And there are three left in the box... must... not.... eat....! Lunch: baked potato with leftover chicken in a homemade curry sauce -free. Afternoon: packet of ryvita minis 5 syns, cheese triangles, sliced ham -free. Dinner: wasn't feeling well so I didn't go to the youth club. Instead I cooked roast pork chop, roast potatoes, veg - free - and gravy, 2 syns as I made it quite thick. Total syns for the day: 22. Much better than yesterday and I don't feel like I've deprived myself. Did I stick to it? Breakfast: Mullerlight. Which meant I was still hungry so I had a cereal bar when I got into work - 6 syns. Lunch: tuna mayo sandwich (2 syns for the mayo). Afternoon: packet of Skips 4.5 syns, cereal bar 5 syns, can of coke 7 syns, Time Out 8.5 syns... when I fall off the wagon, you can hear the thud! I'm going out for dinner with my boyfriend tonight as well.... on which basis, I had some garlic bread with cheese and a calzone pizza at ASK and a skinny latte at Costa. No idea how many syns are in that lot, but it's going to be a lot! Total syns for the day: No idea, probably at least 60. Went to Slimming World this morning and after the week I've had, I was expecting to put on weight but was very pleased to find I've lost 1.5 pounds! I put on 3.5 pounds after my week in Majorca and have two weeks to get that back off before going on holiday again to America, so I'm really pleased things seem to be back on track. breakfast My boyfriend will still be here so I will make us pancakes as a treat. lunch: my boyfriend has relatives visiting this afternoon and the plan is for a midafternoon buffet around 3pm. So I need to have a substantial/late breakfast then whatever I eat at the buffet will probably count as both lunch and dinner. Did I stick to it? 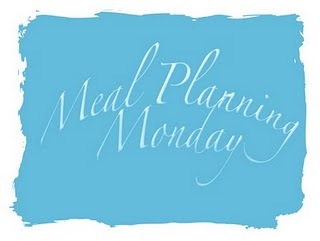 I am sending this to the Meal Planning Mondays bloghop on At Home With Mrs M.